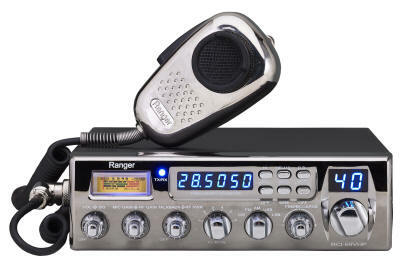 The Ranger RCI-69VHP features a clean 60+ watts PEP on all modes – AM, FM, USB and LSB. The RCI-69VHP has all the features a radio operator wants in a top-of-the-line sideband radio including a true frequency counter – not just a frequency display, like the competition. Experience Ranger’s legendary quality and 30 years of sideband engineering expertise with the RCI-69VHP. Ranger radios sometimes have a small scratch or ding that the factory covers with black touch up. We cannot effect this and do not guarantee your radio to be cosmetically perfect. Bells CB will make no marks or scratches on your radio ourselves. Ranger might though and I cannot control it. We ask that you please send directly to Ranger. Fill out this form first. come with Chinese 2SC-2879 transistors. The Toshiba 2SC-2879 transistors are all gone.